The purpose of a rental application is to identify the best candidates for the property. The rental application gives you the opportunity to pull out vital information about the applicants to show you who is the most qualified candidate. Unfortunately, some landlords haven’t quite honed in on what information is most important in deciding who is a perfect fit for their property. For this reason, we’re going to break down seven things that should be included in the rental application plus why making your application available online is the best choice. Of course, one of the first things to acquire from an applicant is their personal information such as their name and one or more ways to contact them. This ensures you know who the applicant is and you have the ability to contact applicants with any questions or concerns. Another piece of vital information landlords should ask is whether there will be other occupants. Applicants should provide whether other individuals will be residing in the home, along with the relationship to the applicant and their age. It’s important to note that all individuals over the age of 18 should fill out an application even if they are not contributing to the household bills. Knowing your applicant’s rental history is very crucial to understanding their renting behavior. You want to know whether your applicant pays on time or whether they have had difficulties paying. This kind of information helps you decide if you want to move forward or if this applicant seems like more of a risk. On the application, landlords should leave a space for more than one prior addresses and request they leave the previous landlords’ contact information. To find applicants with the best rental history, landlords should opt to call one of their prior addresses rather than their current as their current landlord may be motivated to get the tenant off of their property and will not fully disclose all information. When screening potential tenants, it’s important that landlords take a look at employment history. The employment history allows you to see how long the applicant has been at their current job, as well as, how often they switch jobs. Essentially, this gives landlords insight on any patterns the applicant may have. You don’t want to accept a tenant who doesn’t have a record of steady income. This can be a red flag moving forward as the new tenant is more likely to be late or miss rent altogether. Landlords should be aware by law employers can only give out certain information pertaining to a past employee. Landlords will have to dig deeper to get the most vital information, which brings us to proof of income. It’s not enough to just get the prospective tenant’s employment history – you should also obtain proof of income. Landlords will have to verify whether their prospective tenant can afford the rent. The proof of income may disclose things such as how many hours a week the prospective tenant works, yearly salary, or hourly wage. On the application, landlords can ask for things such as pay stubs or a copy of federal tax return. Additionally, unearned income such as pension, unemployment benefits, and annuity statement can all be taken into account. 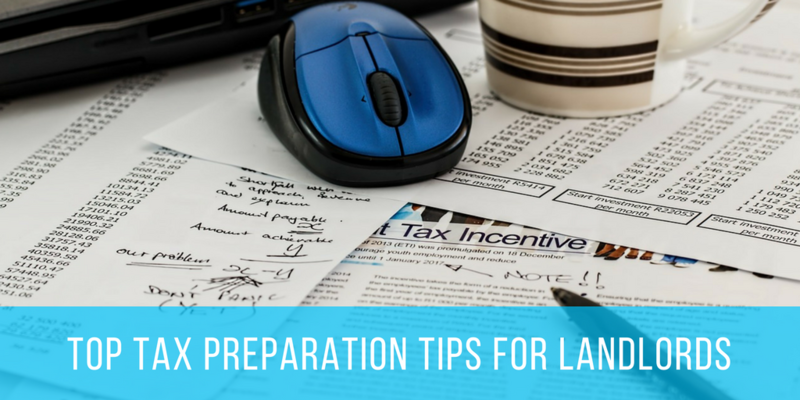 For self-employed applicants, landlords can request bank statements, a profit and loss statement, or 1099. A background check helps you find the best candidate for your property and will encompass many of the other things that you will need such as proof of income and previous addresses. Aside from this, a background check is extremely important to include on the rental application for the safety of you and your other tenants. This allows you the opportunity to see any criminal records of the applicant. Additionally, this ensures the transparency of your prospective tenant, allowing you to know who the individual is and that they are who they say they are. More than likely, prospective tenants with bad intentions or who have something to hide will be discouraged by a background check and will decide not to fill out the application anyway. Ultimately, landlords will reduce the risk of liabilities by gaining access to the most valuable information during the screening process. Be sure to leave a space on the application for applicants to sign and agree to a background check. On the application, landlords should leave a space for prospective tenants to sign a signature agreeing to the credit check. Obtaining one or more references is always a good idea when screening potential tenants. References give landlords a better idea of the prospective tenant as a person. Just as the ability to pay rent is important, you want to make sure that your potential tenant can mesh with your current tenants. Talking to references gives you an opportunity to ask open-ended questions, which can lead to an honest truth about the applicant. Talking to references also gives landlords the opportunity to see who their potential candidates associate with. Additionally, it helps to confirm the applicants emergency contacts. You want to ensure the references the applicant put on the rental application are real and reachable. In the event you move forward with the tenant and something occurs such as them not paying rent, you want to have people in place you can contact to reach them. In 2019, more landlords are recognizing the convenience and efficiency of bringing their tenant application online. First and foremost, online renters applications can reduce the risk of identity theft. You want to ensure that your tenants’ information is safe at all times and keeping information secure online is easier now more than ever before. Additionally, having an online application helps to reduce any bias. All landlords must fall in line with the Fair Housing Act. By creating online applications it makes it difficult to have a bias when you cannot see who is applying and every applicant is receiving the same standard questions. Another great benefit to bringing the rental application online is for documentation purposes. The way you handle data is integral to how successful you are as a landlord. It will become easier for you to keep up with all of you prospective tenants and easily refer back to the documents if you have any questions or concerns regarding the applicant.